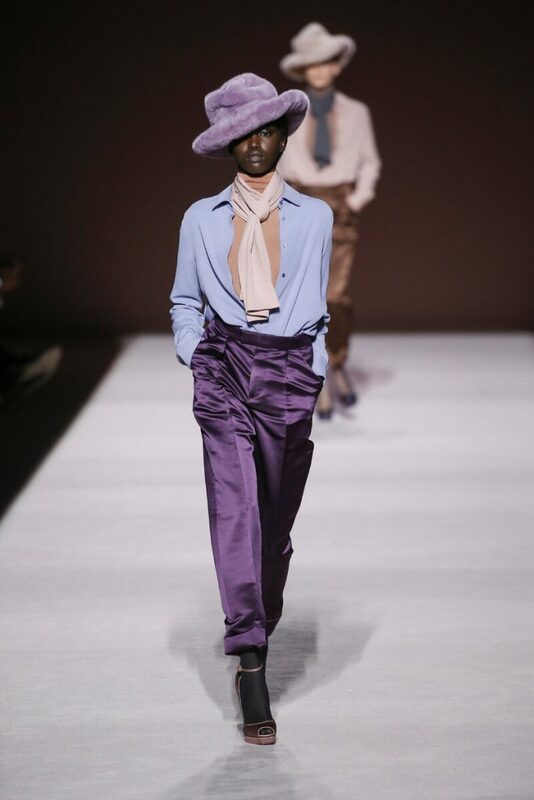 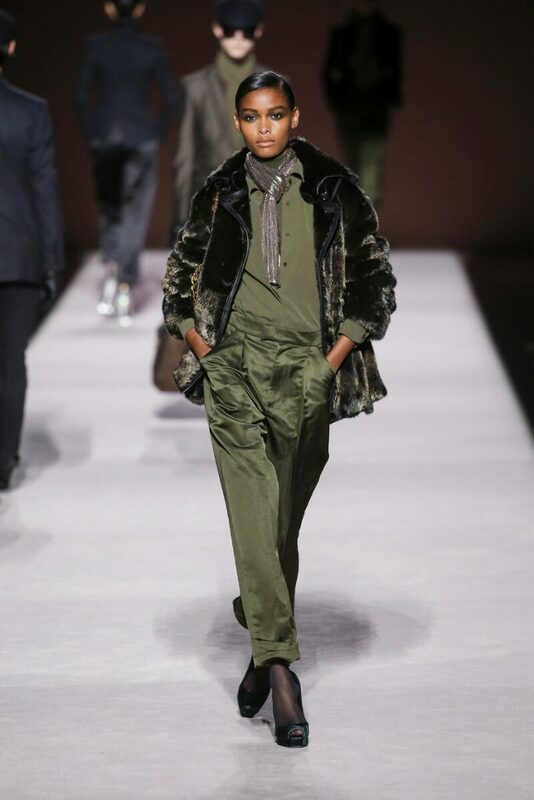 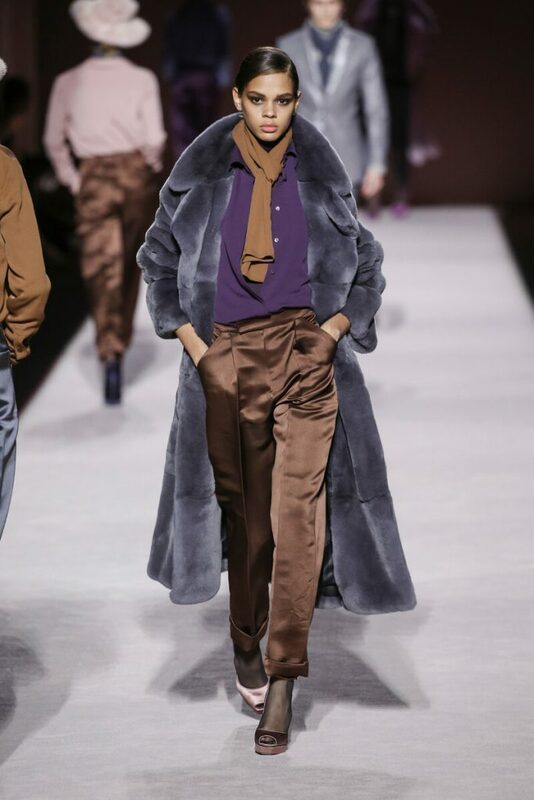 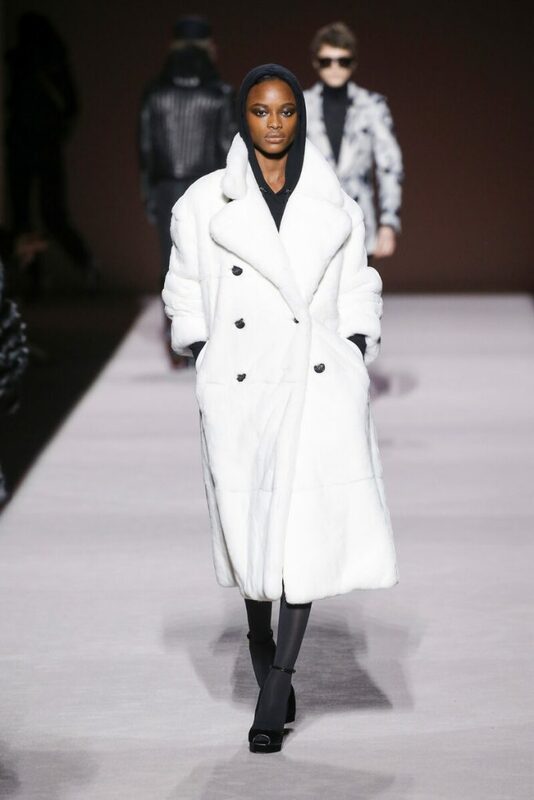 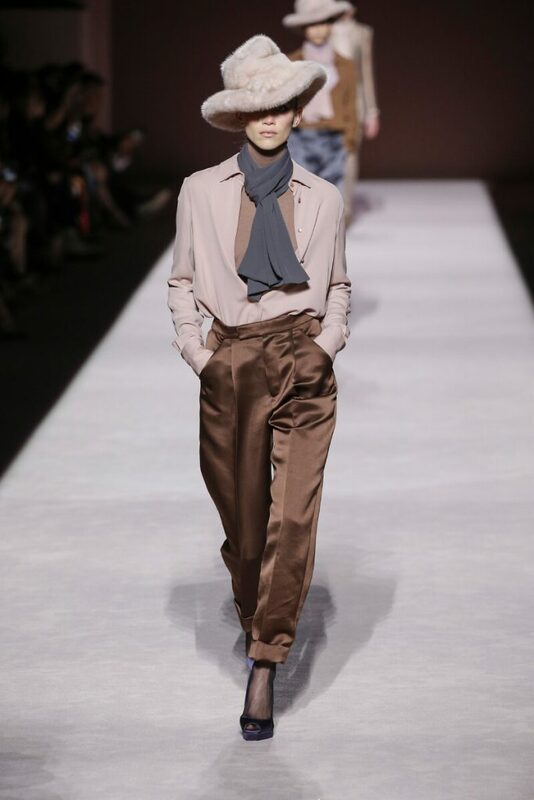 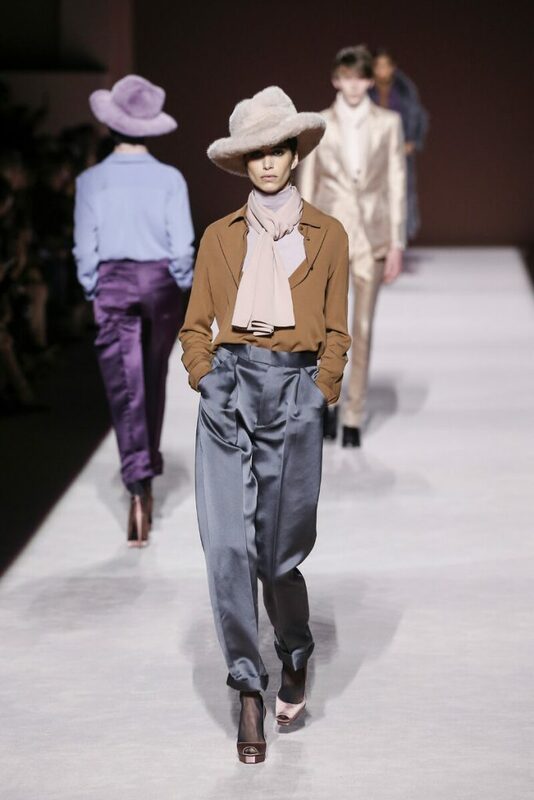 For fw2019 Tom Ford opted for simplicity. 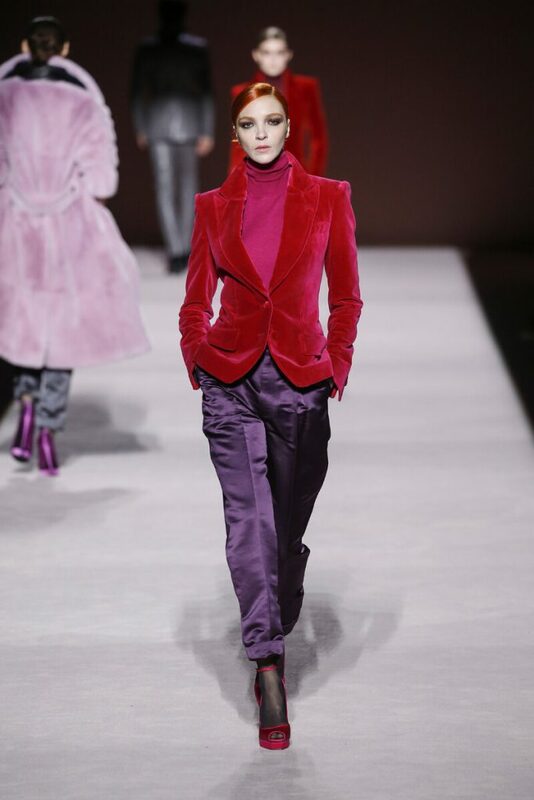 Nothing too outrageous or over the top, but a collection filled with beautifully made of wearable, 90s inspired designs in a palette of pink, brown, red, khaki, black and white. 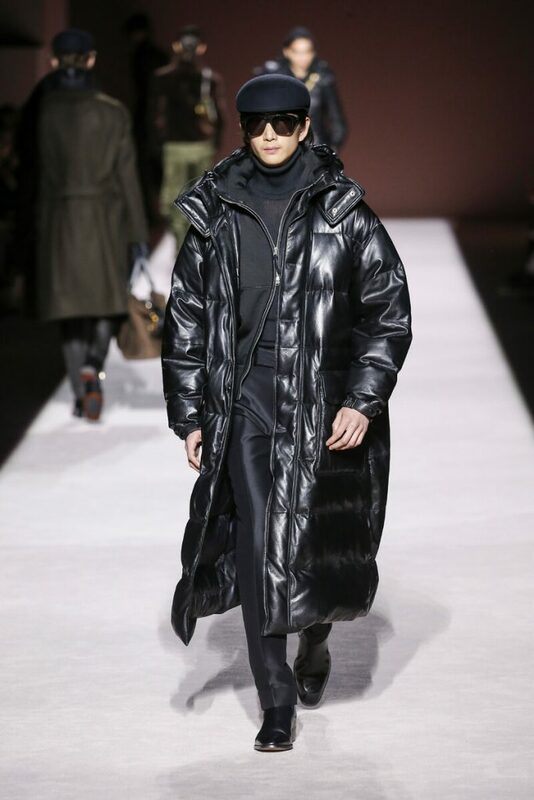 Now they may have been simple (or ‘secure’ as Tom Ford called this “search for security”) when taken in from a Tom Ford point of view, they were luxurious and outspoken nonetheless. 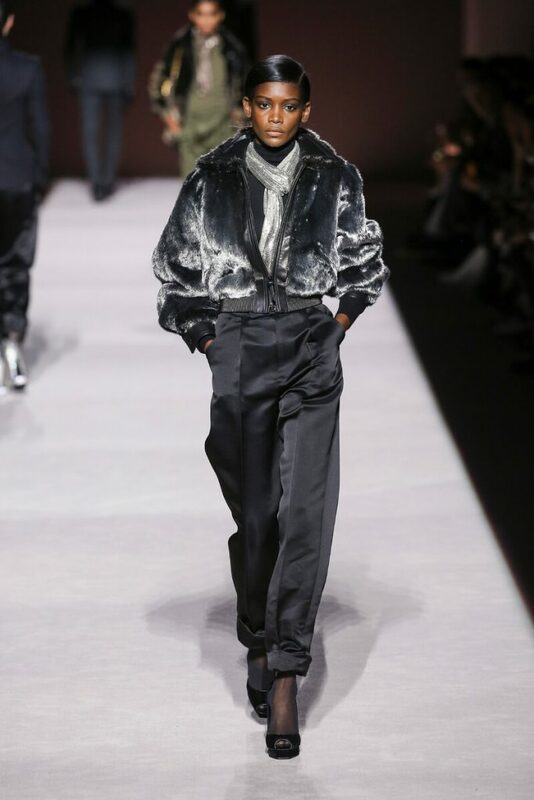 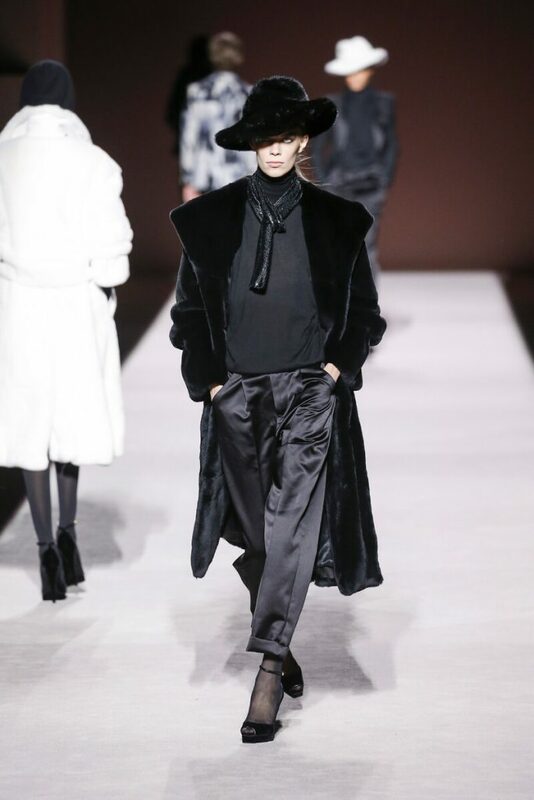 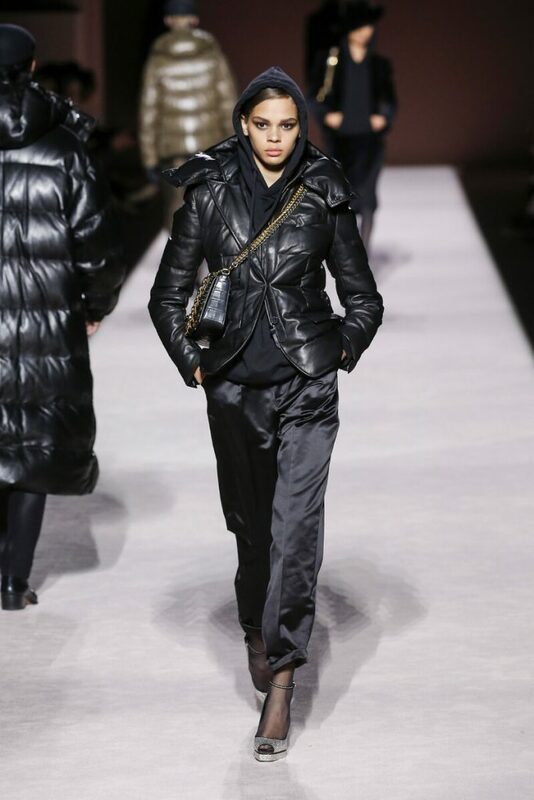 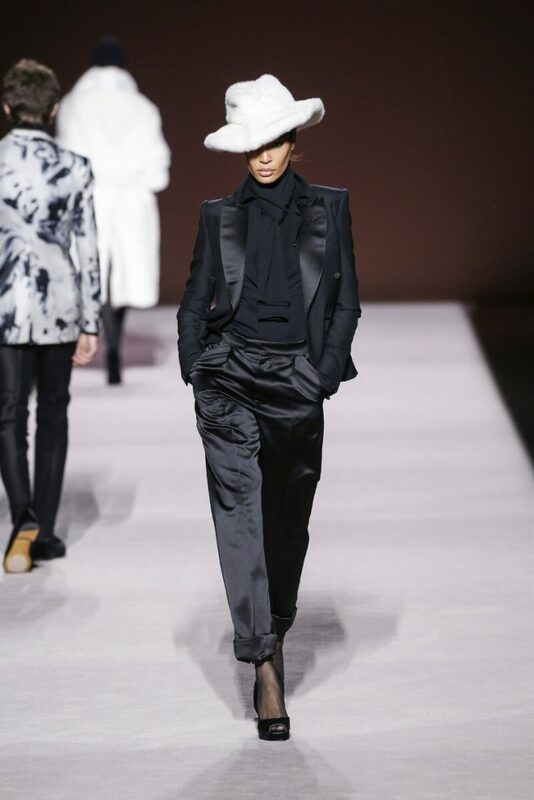 Shiny silk oversize pants, velvet tuxedo jackets, (tucked in) turtle necks, blouses and hoodies as well as XL fur coats, extreme fur hats and platform pumps formed the daywear for women. 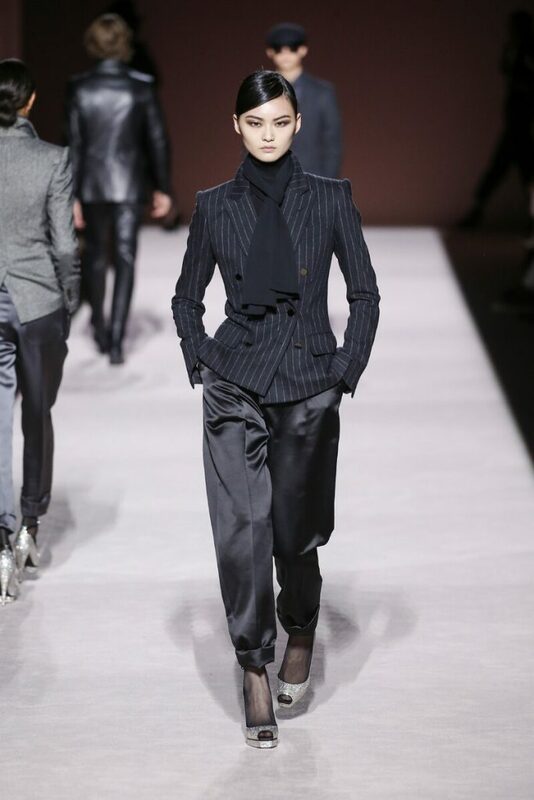 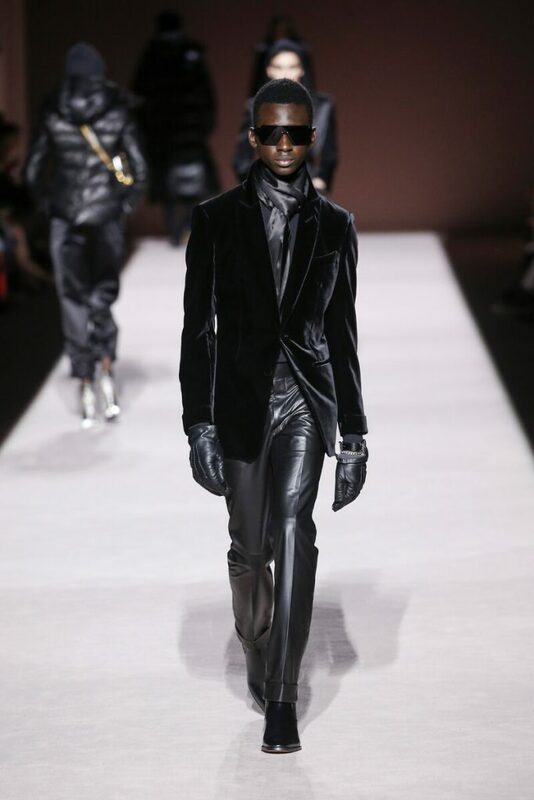 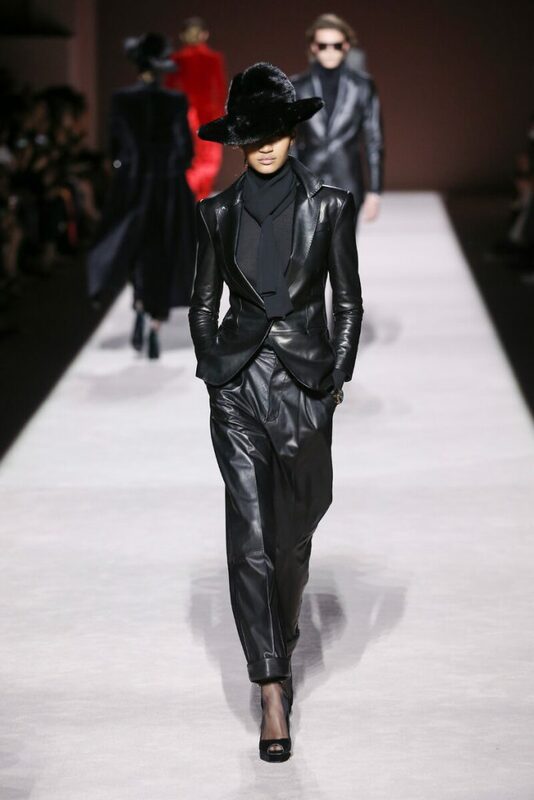 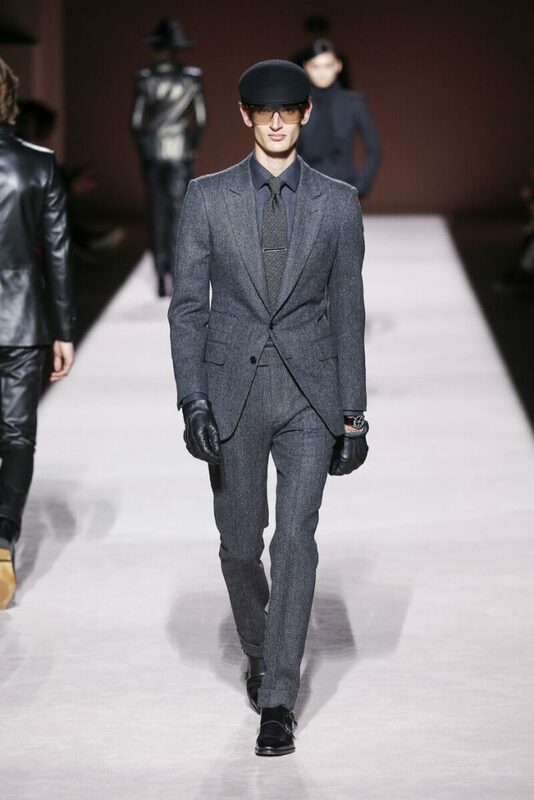 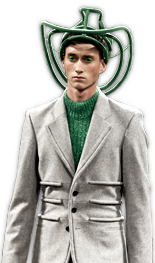 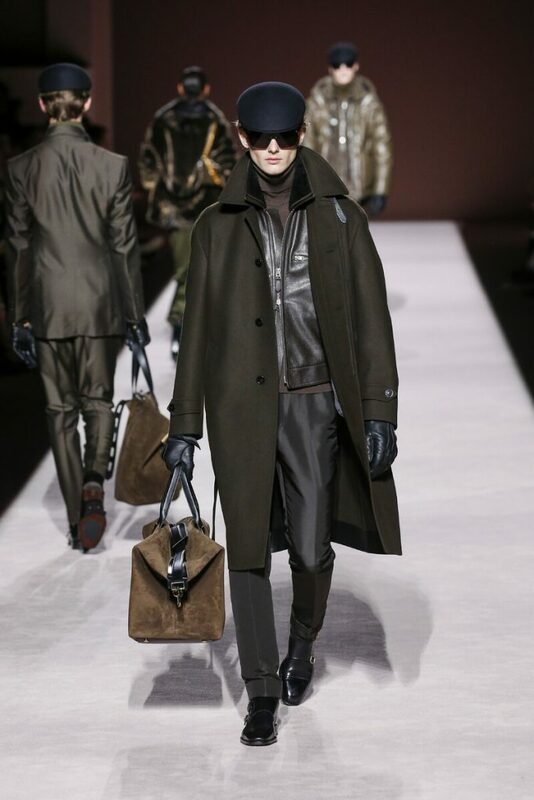 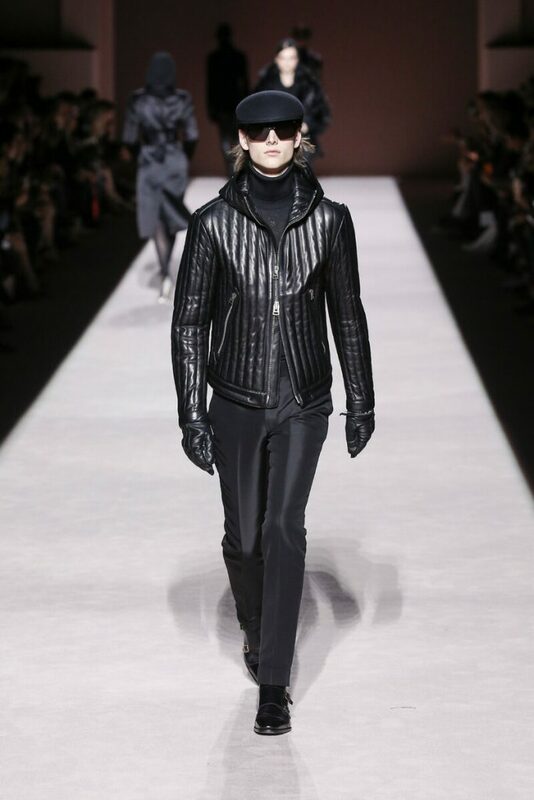 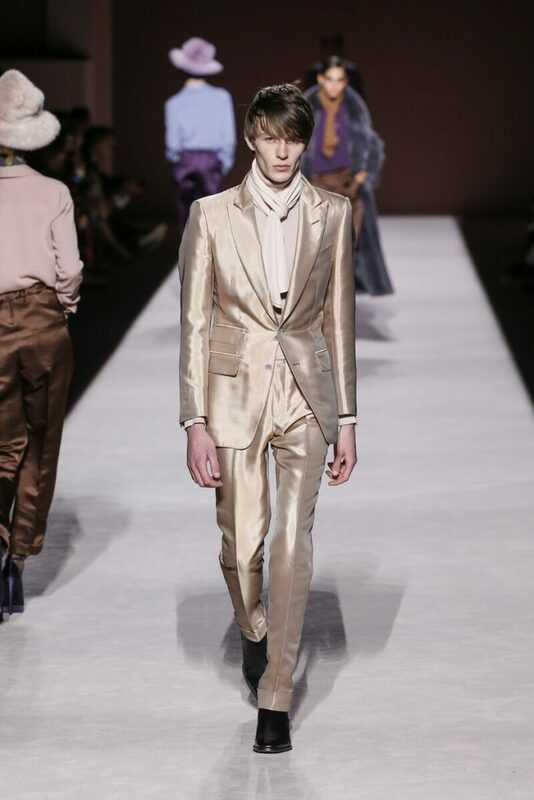 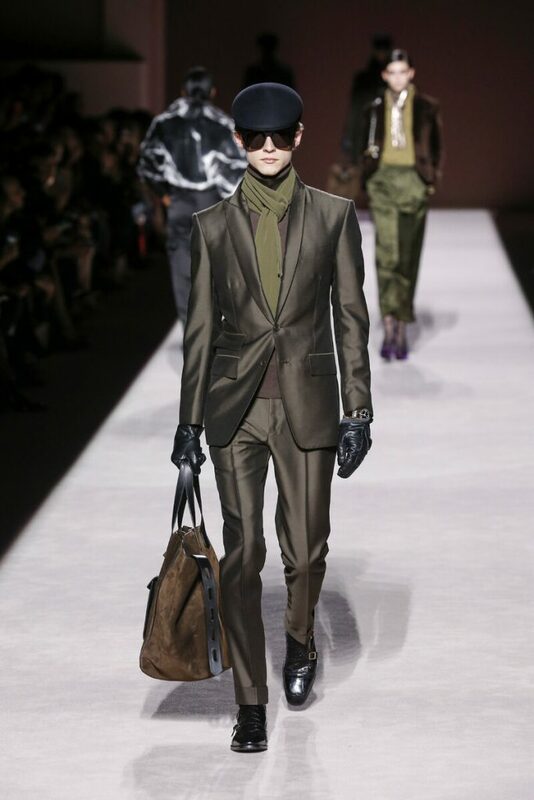 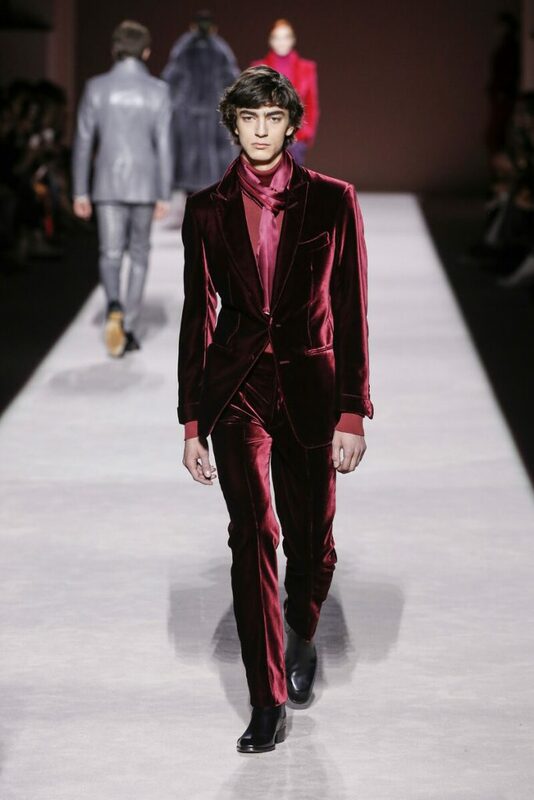 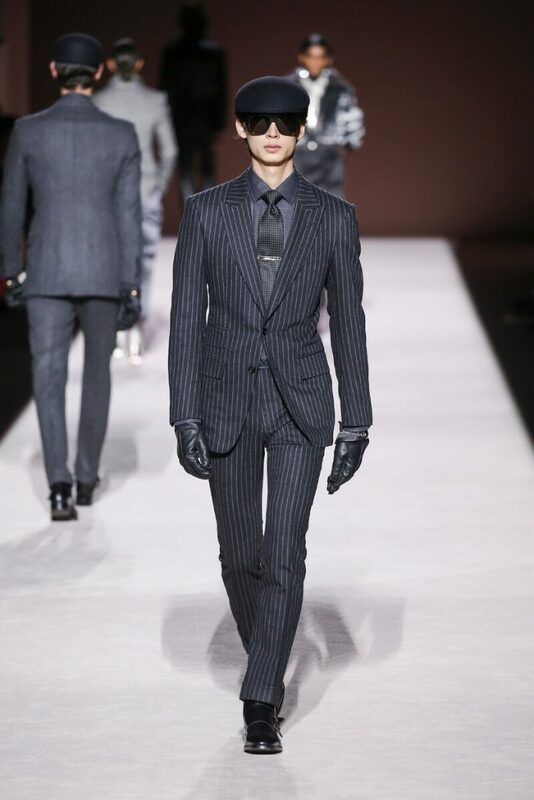 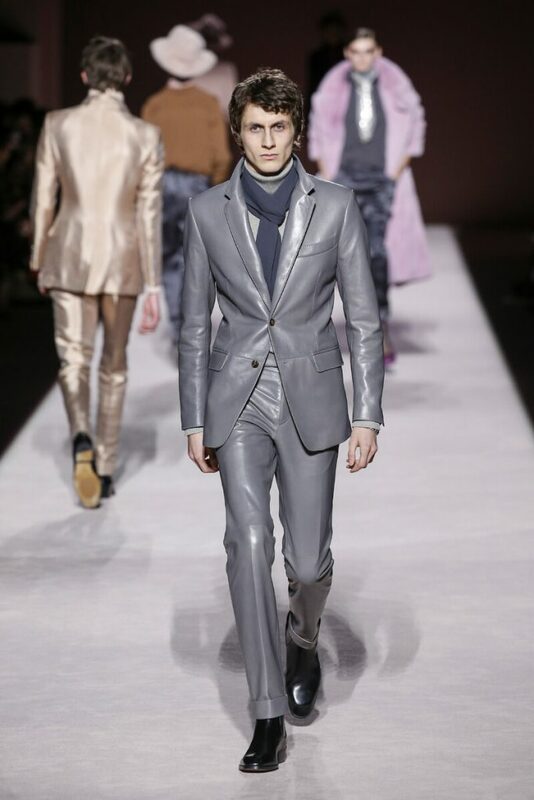 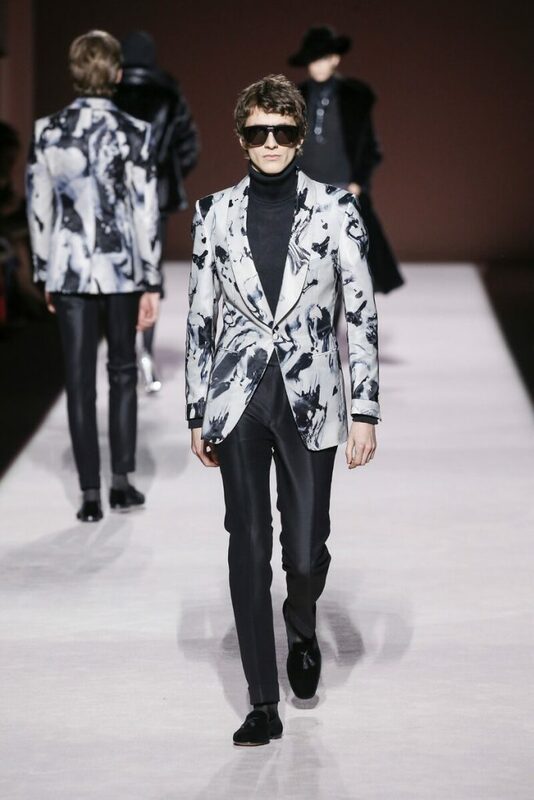 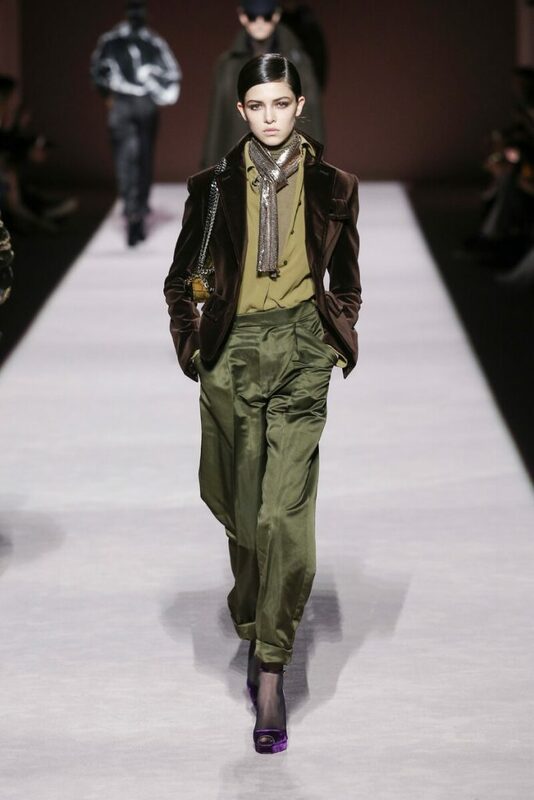 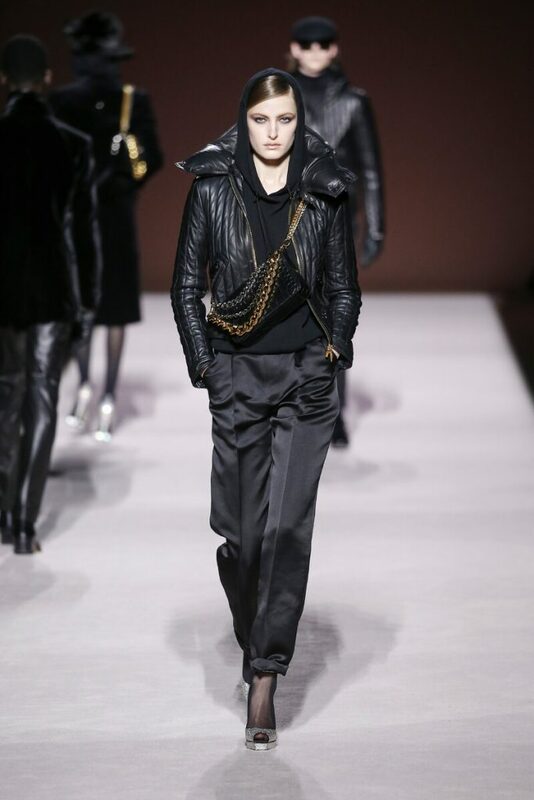 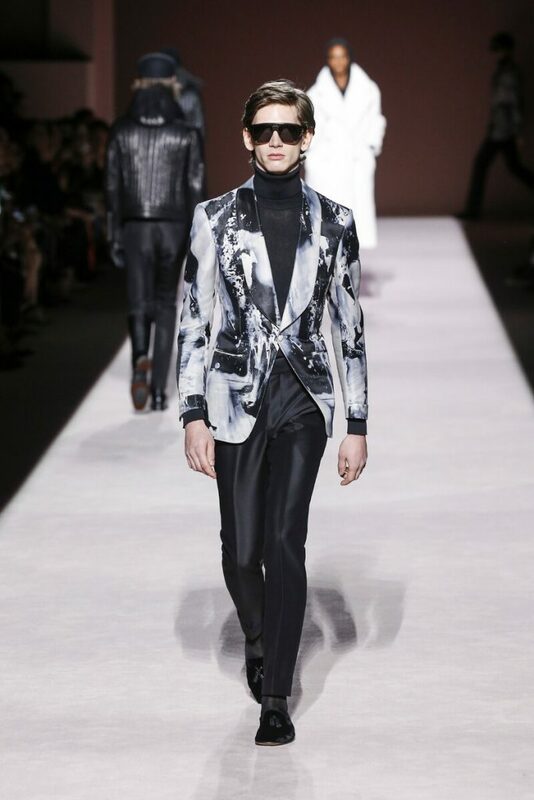 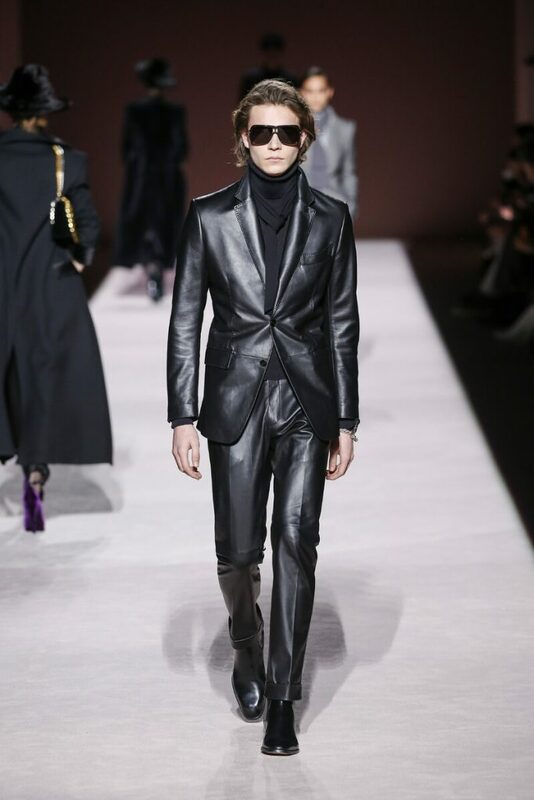 For the men Tom Ford created fitting suits in leather or pinstriped. 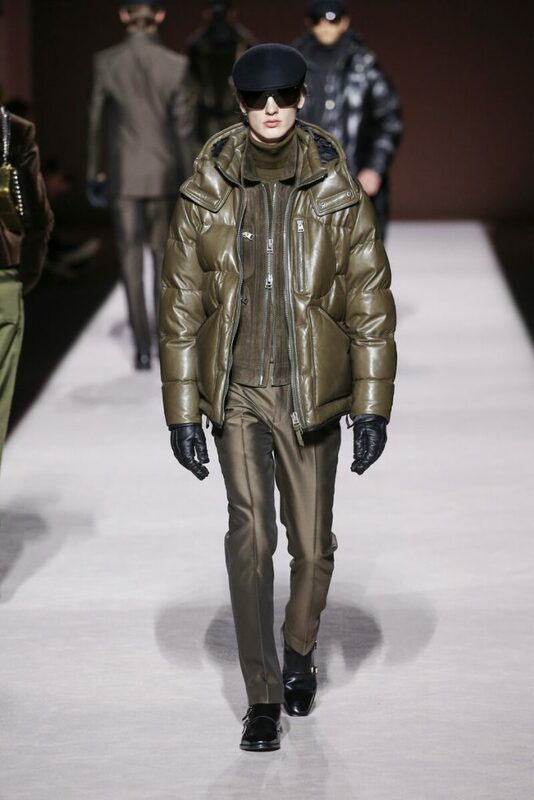 Gloves, scarves, hats, XL sunnies and long puffer coats to match. 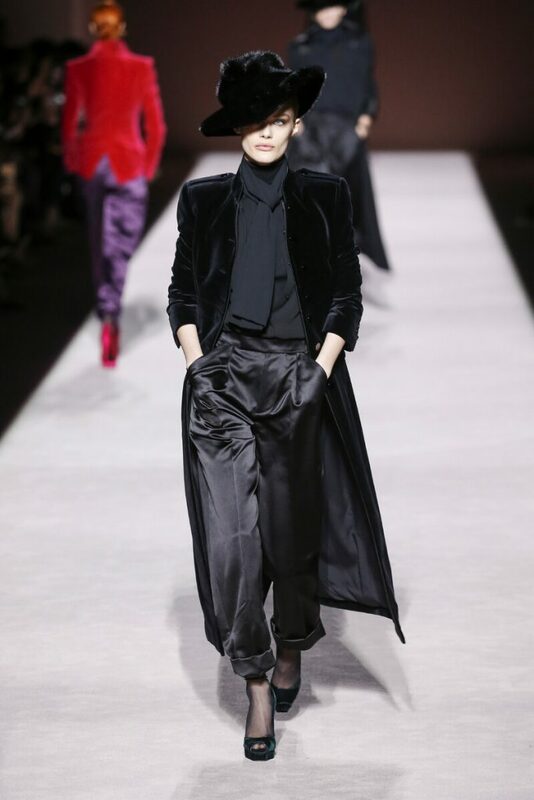 The finale of evening gowns came in the shape of long asymmetric column dresses with chunky chains around the model’s necks/chests.